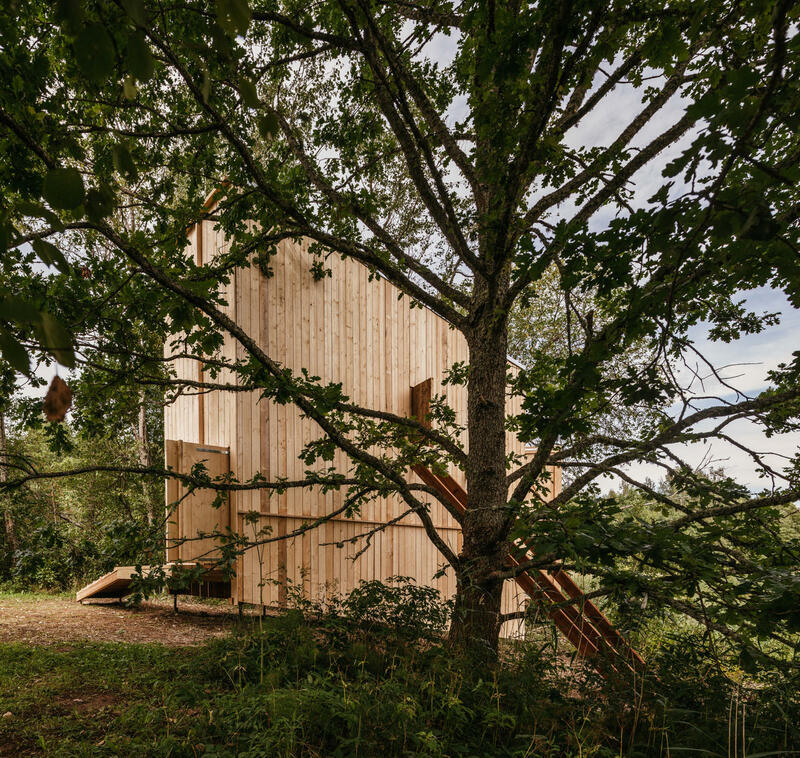 What do the camping sites, bird watching towers and forest shelters for hikers look like in your country? 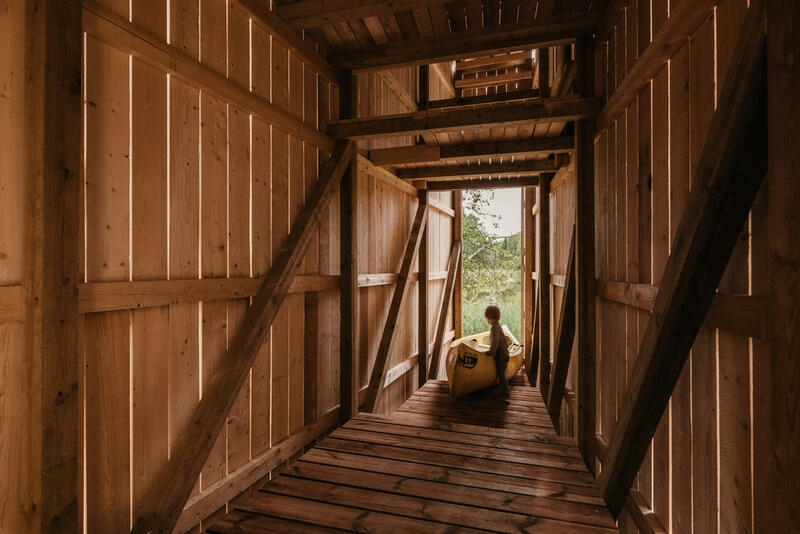 How could contemporary, context-driven spatial design help create an environment that adds to the nature and is in delicate dialogue with its surroundings, offering up new ways of seeing the natural environment? FLOODED 2018 was our third exploration into the delicate and ever-changing natural environment of Soomaa National Park. 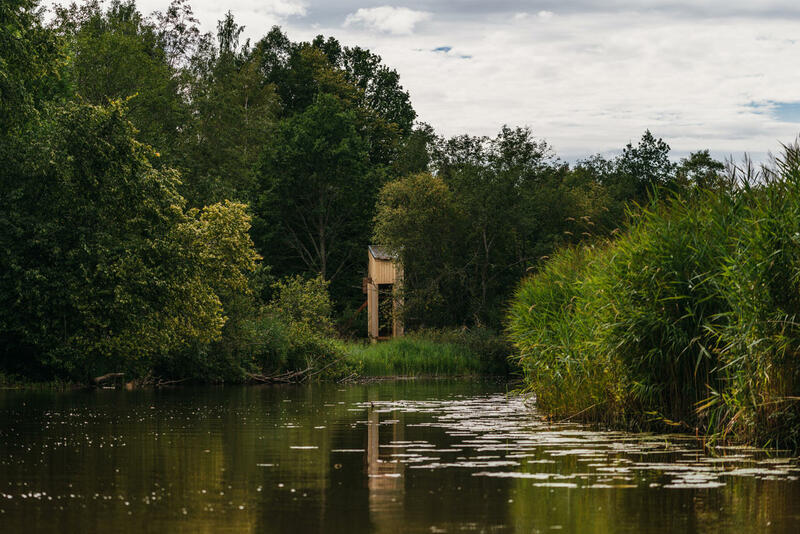 Tutored by Sami Rintala, b210 architects and Hannes Praks, a team of 16 students from all over the world designed and built a structure on the bank of tiny Tõramaa River that would be flexible to the flooding conditions in Soomaa. Vast areas of Soomaa flood once or twice per year, with rivers flowing over to the meadows, forests and roads, but the water levels can vary a lot from year to year, rising as high as over 5 metres. 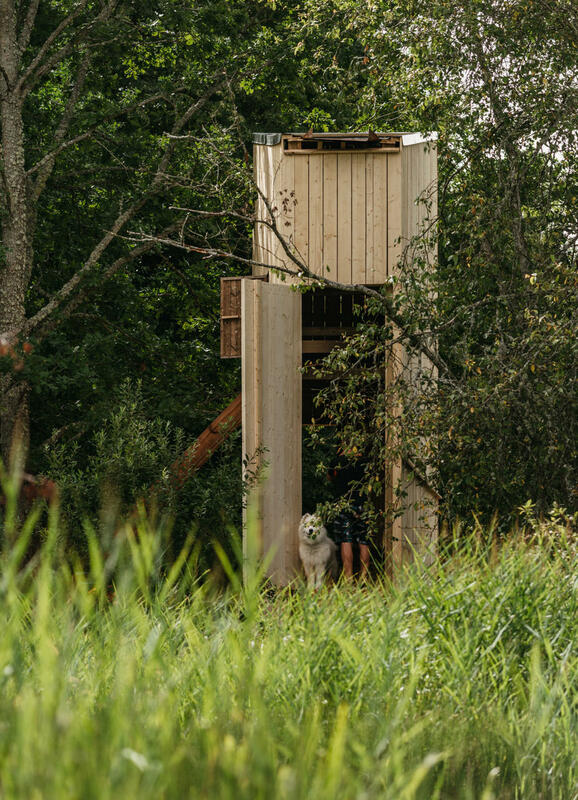 The students’ challenge was to design a structure that does not rely on floating (as opposed to the floating sauna VALA of FLOODED 2017 and floating shelter VEETEE from 2016), but rather one that remains in place during flooding, allowing waters to flow through the building, while still remaining inhabitable. Titled in a semi-grandiose way "Bog Hotel", the structure is slim and tall. With nearly 7 metres of height, the lower levels are designed to be flooded. 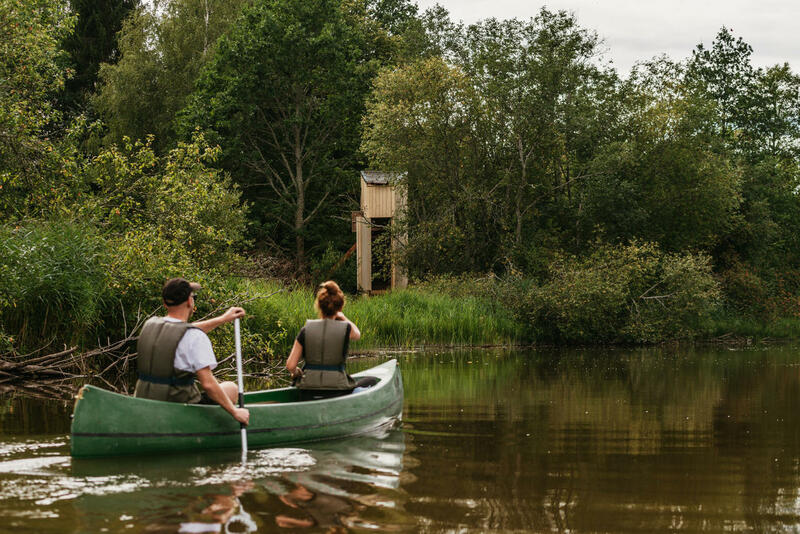 During full flood, the visitor can paddle a canoe straight into the structure and find shelter on the top levels of the structure, whilst the lower levels are submerged. With low water levels, the whole shelter can be used for sleeping, with space for around 15 people. 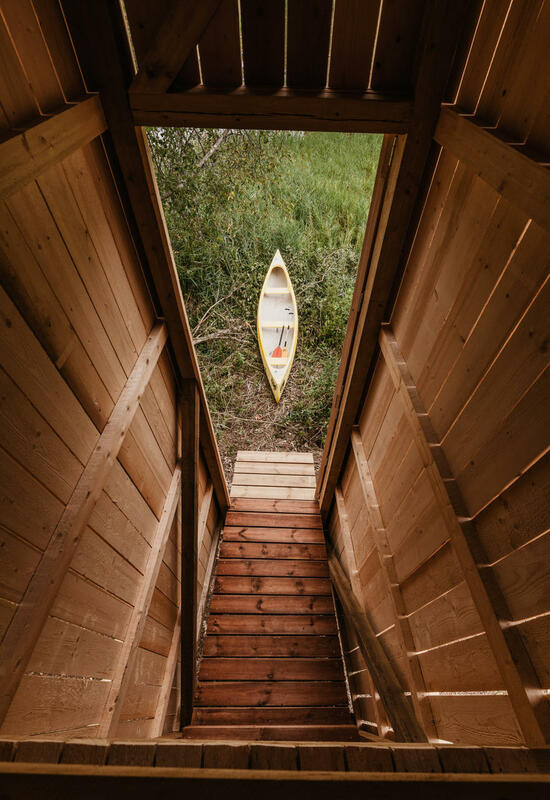 The Bog Hotel is self-catering, meaning that visitors are kindly asked to look after the space with love and care, leaving it clean and fit for use for the next visitors. Summer School participants: Ko Ai, Tudor Cristescu, Magdalena Blazek, Henry Daly, Jakub Daniel, Amelie Dinh, Joshua Durrant, Ardo Hiiuväin, Nur Horsanali, Sean Kim, Anna Liisa Saavaste, Linda Zupping, Triin Vallner, Josine Vos, Marcus Yngwe, Rasu Watanabe. FLOODED 2019 - sign up for the more info! In early spring 2019, we’ll be announcing the time, location and other details of the 4th FLOODED Design and Making Summer School taking place in August 2019. If our approach to learning, teaching and exploring context-driven architecture and spatial design inspires and intrigues you and you’d like to apply for the next class, or just find out more about FLOODED, please sign up here and we’ll keep you posted about any developments! FROZEN 2020 Winter School of Design and Making – sign up for more info! How do you design for a climate where temperatures go up +25C in summer, but can also drop to -25C in winter? What kind of roads open to spatial designers and architects, once water freezes over and rivers, lakes and the sea turn into skatable and skiable fields of ice? What is local culture like in those areas? How have people adapted to life on and near frozen water and what clever methods and tools do they use to find food and shelter? And most of all: how could this kind of frozen context inspire architecture and design? We are looking into organising the very first FROZEN Winter School of Design and Making next winter. If you’d like to know more / apply, leave your contacts and we’ll send you more info once we’re ready! 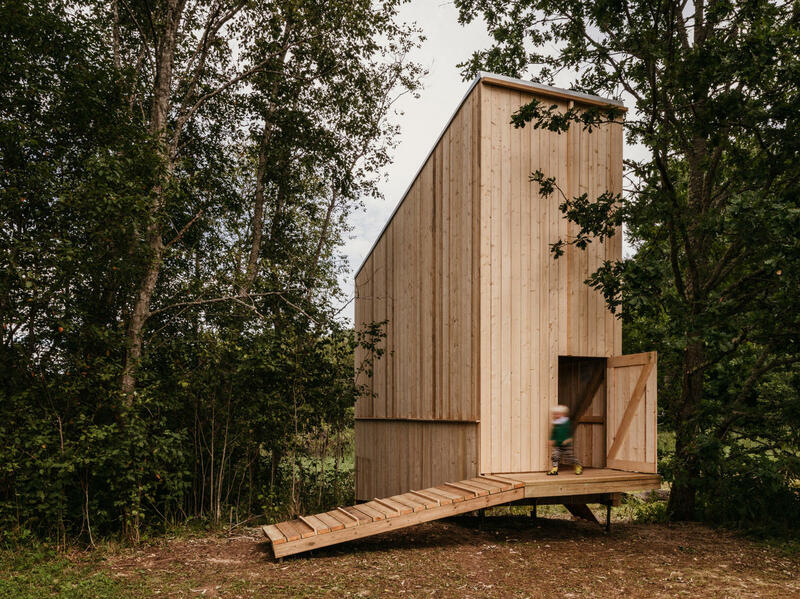 Sami Rintala is one of the founders of Rintala Eggertsson Architects, a Norway-based architecture firm, which focuses its activities on furniture design, public art, architecture, and urban planning. Important part of Rintala’s work is teaching and lecturing in various art and architecture universities. Teaching takes place usually in form of workshops where the students often are challenged to participate the shaping of human environment on a realistic 1:1 situation. Sami Rintala’s work is based on narrative and conceptualism. 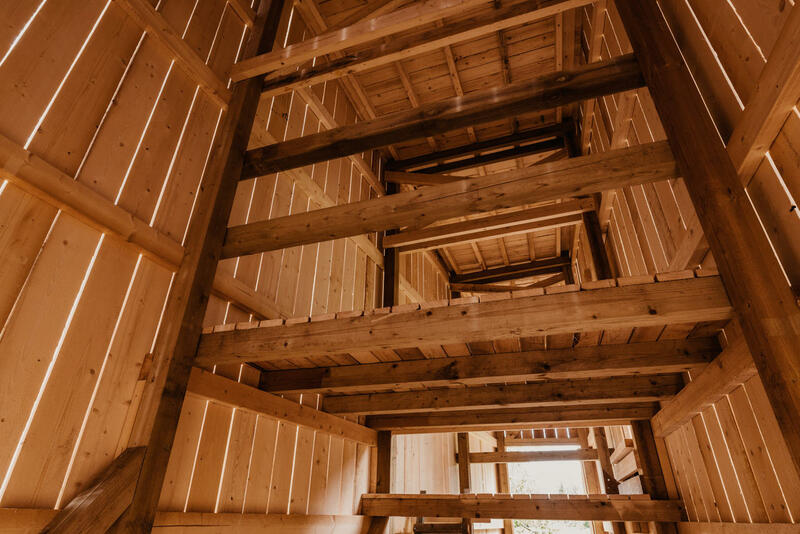 Resulting work is a layered interpretation of the physical, mental and poetic resources of the site. He has been a professor of architecture in the Trondheim and Oslo schools of architecture, and a visiting professor at TU in Vienna, the University of Westminster in London, Fay Jones School of Architecture and Design at the University of Arkansas, Skopje Macedonia, the University of Ljubljana in Slovenia, the Estonian Academy of Arts in Tallinn, and Umeå University in Sweden. 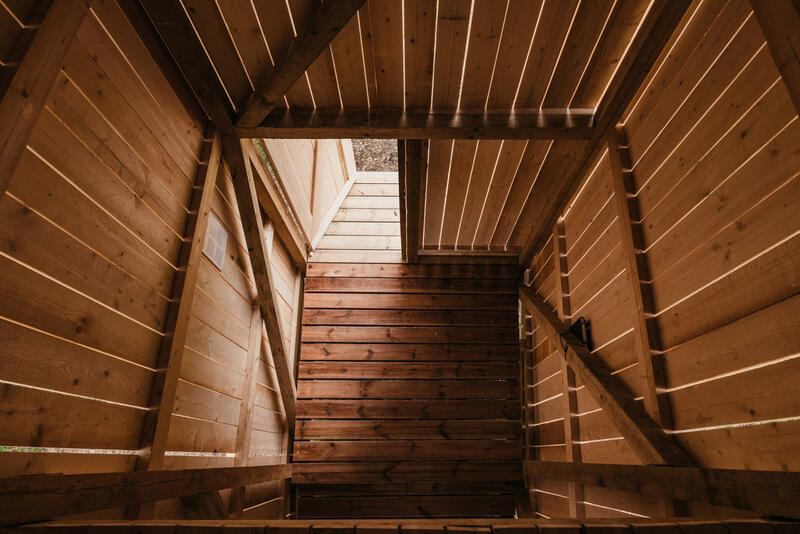 Aet Ader, Mari Hunt, Kadri Klementi, Karin Tõugu – the four architects who form the core of b210 architecture office – have been leading Estonian Academy of Arts interior architecture students through some of their most demanding endeavours. They tutored the course that resulted in the wooden megaphones installation as well as the Wilderness Summer School in Soomaa, which resulted in Veetee. 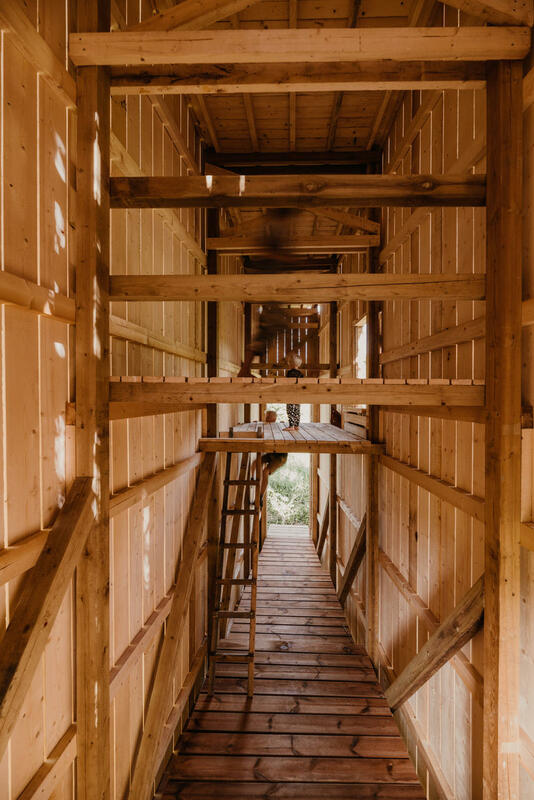 In 2013, b210 curated the Tallinn Architecture Biennale TAB 2013, exploring the topic of Recycling Socialism. One of their best-known built projects is the the Tallinn University of Technology ship model testing tank and laboratory building in Kuressaare, finished in 2015, and they have designed a number of exhibitions in recent years. All of them are also active separately: editing and writing about architecture, developing architecture curriculum for schools, contributing to architectural policy in Estonia, running an architecture hobby school for children. Professor Hannes Praks is the head of the interior architecture department, having joined the Estonian Academy of Arts, his old alma mater, in 2015. 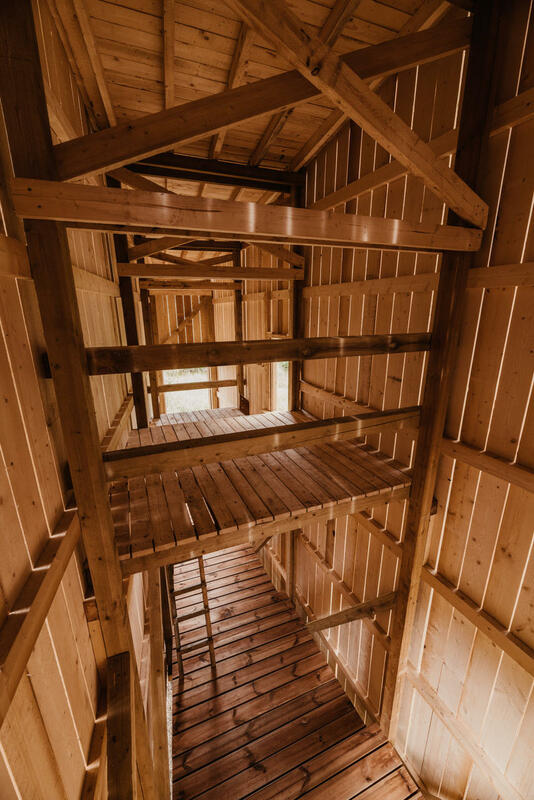 He leads the department in constant exploration into the essence of locally-inspired design and architecture, searching for what could make up a uniquely local spatial design vocabulary. He believes in interior architecture that places itself somewhere between architecture and product design, looking for quality that could, in addition to providing functional solutions, also contribute to the discussion on what is culture, much the same way as music or literature might. 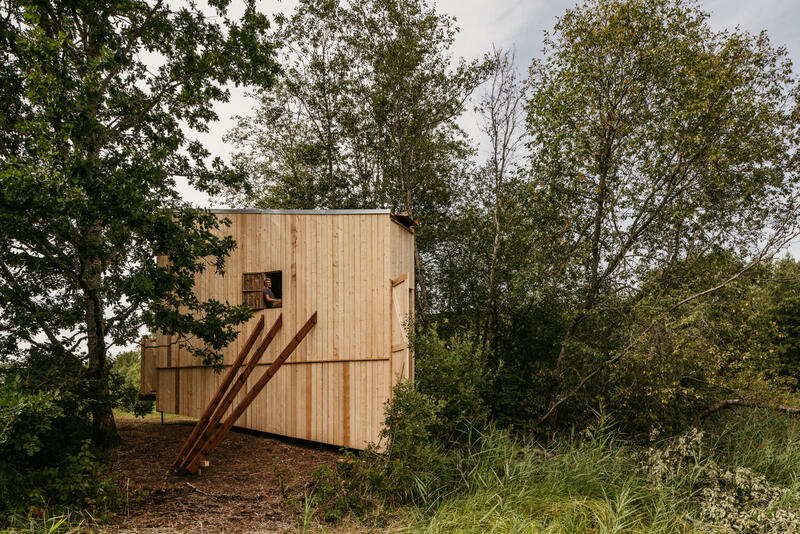 Before joining the Academy, he ran his own studio, designing a number of well-known and acclaimed projects, ie the Narva College of the University of Tartu, finished in 2013. FLOODED Design and Making Summer School for Floating Architecture. Contact us: interior@artun.ee.